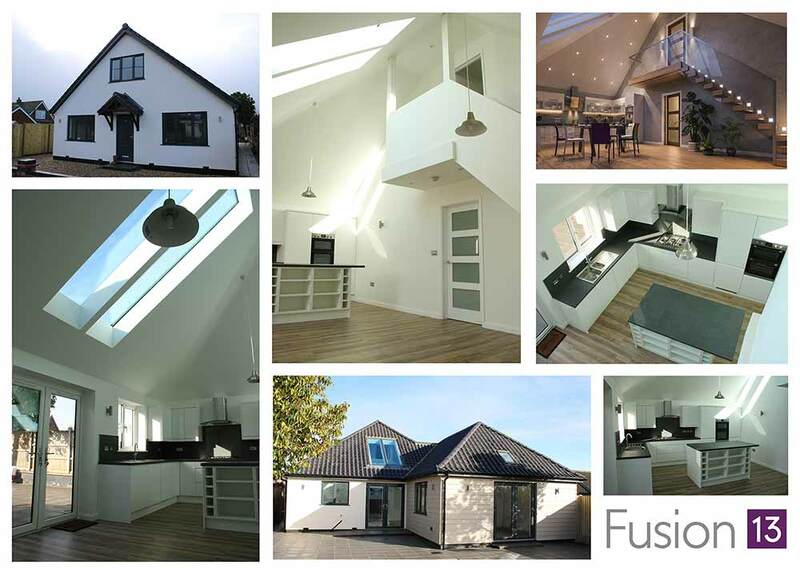 Internal reconfiguration, a conversion of a garage and a single storey extension linking the garage to the main bungalow is the latest success story for Fusion 13. This proposal involved careful design considerations to meet the clients needs and to provide them with additional, flexible accommodation. The existing three-bedroom bungalow now benefits from an additional study, dressing room, snug, utility room and large and improved open plan kitchen/dining living space and larger 2nd and 3rd bedrooms. This delegated approval from Ryedale District Council highlights how we can listen to a clients request and provide a workable solution which is approved on time by the local planning authority. If 2018 is anything to go by, 2019 is set to be a busy year in the planning world. 2018 saw the adoption of a number of Local Plans (as well as some rejections), and the introduction of the much-anticipated new National Planning Policy Framework (or NPPF2). Despite much fanfare, the general consensus of opinion agreed that it did not fully address the most pressing need: the lack of new housing supply. Nevertheless, NPPF2 is here and all new and upcoming Local Plans will need to take it into consideration (the most recent amendment to NPPF2 was made in February 2019. At Fusion 13, we regularly monitor local planning authorities – their progress towards new local plan adoptions and their latest figures for five-year housing land supply. This allows us to identify where there may be potential development opportunities. When submitting a planning application for approval, it is vital to understand the intricacies of the district’s local plan. We can help you to understand the implications of a local plan on your project, whilst working to ensure your plans are aligned with local district requirements; our extensive experience helps us to maximise the opportunity for a successful outcome. Here, we look at the current state of Local Plans in each district (East Anglia & Yorkshire), and reveal what we expect will happen in 2019. Take a look and if you require any further information or want to know how the Local Plans can affect your project give us a call on 03333 443013. Fusion 13 are pleased to announce that full planning permission has been granted by Ryedale District Council for the erection of an attached garage with dressing room above to a four-bedroom detached house in Malton. The delegated approval allows the dressing room to link to the master bedroom on the first floor of the main dwelling, thus complimenting the space within the main house. The addition of a garage provides an important storage space for the clients and their family. Following the successful planning application, Fusion 13 are pleased to be working on the building regulations application. Harrogate Borough Council have recently approved full planning permission for a single storey extension to the rear of a four-bedroom semi-detached house on St Johns Grove, Harrogate. Fusion 13 designed and co ordinated this planning application for an extension in a restricted area. The result was a design which met the client’s needs for additional space, respected the neighbouring properties and was a positive contribution to the built environment. Fusion 13 are delighted to have obtained planning and listed building consent for a change of use from a shop to a children’s nursery in Malton’s historic market place. The application was heard at Ryedale’s planning committee on 22 January in response to concerns raised regarding the loss of retail space in the town centre. Following discussions with the case officer, we were able to address these by providing a robust business case which justified the change of use. Members of the planning committee agreed with our case and voted in favour to approve the application. This was a pleasing result as it is an innovative use for a shop unit that had been empty for some time and which will create new jobs and have wider economic benefits for the town of Malton. A site visit in early January 2019 confirmed good progress on a site in Dock Tavern Lane, Great Yarmouth, where Fusion 13 successfully gained planning and building regulations approval for a development of 22 one and two bedroom apartments. The scheme provides much needed properties in this part of the town on a previously developed brownfield site. As a result of the good start to the construction process, it is anticipated that the first apartments will be ready for occupation in summer 2019. Construction is progressing well on Clydesdale Drive, Hemsby, a new build development of 10 bungalows and houses. The site was purchased with full planning approval by a Lowestoft based developer. 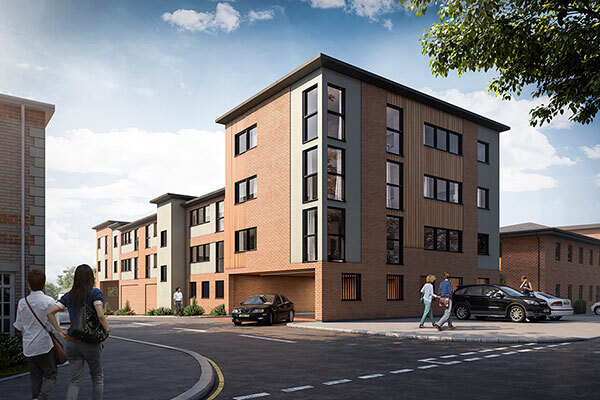 Fusion 13 was appointed to make some design changes and gain planning approval for these and produced the building regulation package, SAP calculations and photo real CGI visuals. The development is on schedule to be completed later this year. Fusion 13 are delighted to announce that following the recent refusal at planning committee for one lodge to form an annexe to the main house, a subsequent planning appeal has been allowed which allows the occupation of the annexe for our client and their dependents. The scheme was to site a modular lodge to form an annexe which would allow our clients family members to live there and be supported as a result of declining health. Despite being recommended for approval, Newark and Sherwood District Council planning committee refused the application on the grounds that the proposal could not be reasonably considered as being ancillary to the main dwelling. The subsequent appeal focused on our client’s family needs and personal circumstances and provided a sound and robust case for the development, which the Planning Inspector agreed with. This was a particularly pleasing result as the development assists with our client’s family needs and circumstances. 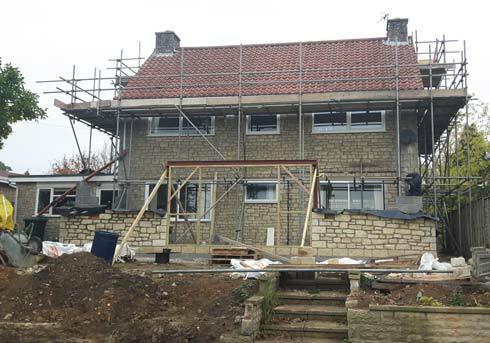 Having gained planning approval in April 2018, construction is now well under way in Castle Howard Drive, Malton to provide a two-storey side extension which creatively links with the front façade to provide a new enclosed porch. We look forward to seeing the end result later this summer. We are pleased to introduce Simon Henry who has started at Fusion 13 in the role of Lead Planner & Business Development at the beginning of November. Simon will work in both our Norfolk office in Norwich and our Yorkshire office near Malton. His job responsibilities will include coordinating all our planning services and business development in the East of the country. Simon has over 13 years’ experience as a town planner, working on residential, commercial and renewable energy development projects. With roles at a chartered surveyors, renewable energy company, architectural practice and most recently at property consultants Bidwells Simon has a breadth of knowledge and expertise in the planning process. This range of experience allows Simon to approach development projects with a depth of understanding, and good comprehension of the many ways in which a proposed development may be viewed by the Local Planning Authority and statutory bodies. You can email Simon at simon.henry@fusion-13.co.uk or give him a call on 03333 443013. Fusion 13 have been successful in advising a householder on a planning application and subsequent appeal achieving planning permission for a single storey side extension in Norfolk. Norwich City Council had refused the planning application to replace an existing conservatory with a single storey extension of very similar size. The Planning Inspectorate concluded with Fusion 13’s appeal that the extension would not detract from the character and appearance of the area and would not be in contrary to policy. The successful result will provide much needed additional all weather living space for our client and their family, built in a sustainable manner encompassing a pleasant wild meadow flower green roof. If you are having any issues with planning, give us a call 03333 443013. We would be pleased to have a chat about how we may be able to help. Fusion 13 have gained planning approval and building regulation approval to extend this semi-detached family home in Norwich. The proposed single storey rear extension will provide an open plan kitchen, dining living space with glazing to maximise views of the garden and side/front extension to provide a porch and storage room in lieu of garage. Fusion 13 have successfully gaining planning approval and building regulations approval for this single storey extension, with first floor extension over garage and loft conversion. Originally a stone built 3-bedroom detached house with small kitchen and only one bathroom the proposal has provided a large kitchen, dining and living space along with 4 double bedrooms (3 ensuite) and a study area. Construction is well under way and will be completed in 2019. We are pleased to report that outline planning permission was successfully gained for the erection of a new bungalow and associated means of access on land at Old Road, Billingham. The land formed part of the garden for our clients and this proposal utilised an under used area of land. Following a successful conclusion to an issue regarding right of access, delegated planning permission was granted by Stockton-on-Tees Borough Council. Fusion 13 have successfully gained planning permission for change of use from B1 office use to an holistic treatment and therapy centre (D1) on Mansfield Road, Rotherham. Internal alterations were minimised and external alterations were limited to a new sign to replace the current one. As the building was vacant, a strong case was given as to why the unit could support an alternative use. Consequently, Rotherham Metropolitan Borough Council were able to grant delegated planning permission without undue delay. Planning permission has recently been secured for a further development of six dwellings on the site of a former lorry depot and repair yard at Church Road, Gorleston. Fusion 13 successfully made the case that the development was in accordance with planning policy, sited within the development boundary allocated for residential development and addressed issues and resident concerns relating to design, overlooking and overshadowing. On the basis that the use could revert back or reopen as a lorry depot at any time without the need for planning permission it was considered that the benefits of the development in removing a potentially noisy and anti-social use from a residential area and replacing it with a sustainable and well-designed housing scheme would outweigh any potential adverse effects on the existing dwellings. Fusion 13’s in-house planning consultant Cheryl Ward and architectural lead/MD Lee Marsh were interviewed by Ben Fry from Minster FM to promote our ‘Planning Permission Advice Week’ which runs from 16-21 April. Listen to the interview at the link below. Find out how you can get your free session of expert advice. A new build 4 bedroom chalet bungalow is now complete in Spixworth, Norwich. 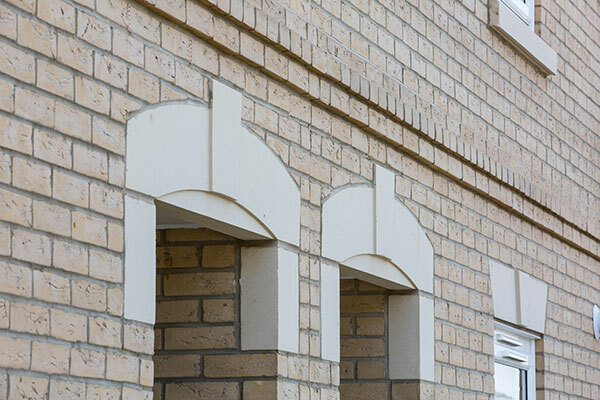 Fusion 13 provided architectural services from feasibility to completion. The new bungalow replaces a 2/3 bedroom bungalow that was in poor condition and had a poor layout. Initially working with the client to see if internal changes could be made to improve the existing dwelling, we concluded that the best option was to demolish the existing bungalow and replace it with a larger family dwelling, fit for modern lifestyles. The new chalet bungalow includes an open plan kitchen/dining room, separate lounge, en-suite bathrooms and large amounts of glazing to maximise natural daylight and allow views over the large garden. Fusion 13 worked to successfully appeal against refusal of planning permission for a four bedroom house at Land off Clark’s Loke, Blofield Heath. The site lies outside of the settlement boundary where the main issue was not aimed at the principle of the development but on highway safety grounds said to give rise to conditions in the Council’s opinion that would be detrimental to highway safety and therefore contrary to planning policy. When the original planning application was refused under delegated powers, Fusion 13 acted to appeal the decision, liaising with a highway consultant and to bring together a Statement of Case, Statement of Common Ground, a Proof of Evidence and Rebuttal Evidence and successfully challenge the Council’s reasons for refusal. We successfully demonstrated that the site can be adequately and safely accessed using the existing accesses. In doing so, evidence was collected using speed data and traffic counters and the Manual for Streets 2 (MfS2) publication all of which the deciding Inspector later relied on to decide the appeal. 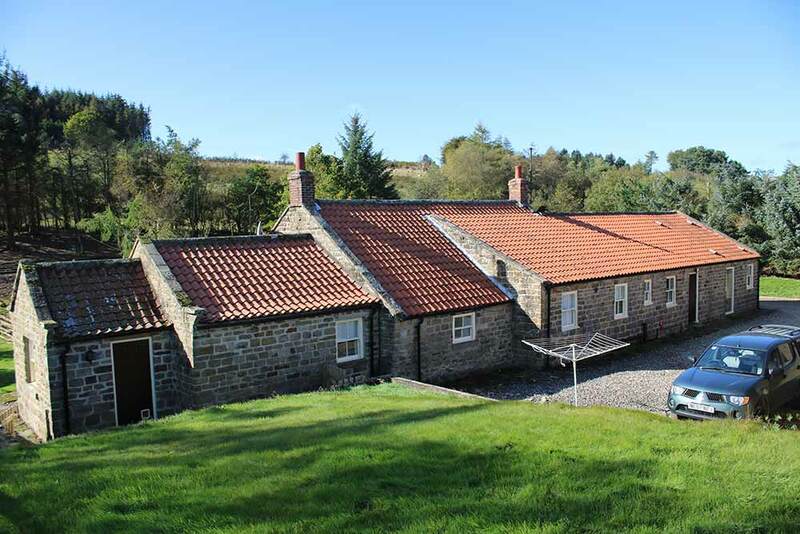 Planning and listed building consent secured from submission to receipt of decision in less than 7 weeks for a superb Grade II listed property situated in the heart of the North York Moors National Park. The scheme involves significant internal re-modelling together with external modifications and additions. Well done to the Fusion 13 team, another project on schedule. Fusion 13 obtained full planning permission from North Norfolk District Council for a single storey rear extension to a three-bedroom bungalow in Tunstead. The approved scheme replaces an existing conservatory with an extension and reconfiguration to improve circulation and move daytime living areas to the rear overlooking the gardens and bedrooms to the front. We look forward to starting work to gain Building Regulation approval. Fusion 13’s planning application for two ‘self-build’ executive five-bedroom houses in Brick Kiln Rd, Hevingham has been approved by Broadland District Council. The scheme provides two comfortable detached houses with a classic design to the front and an open plan feel inside. Initially the council weren’t supportive of the application. However, Fusion 13 negotiated with the council and made some minimal design changes which didn’t impinge on the footprint and layout of the houses and gained full planning approval. Building work is due to start later this year once building regulation approval has been gained. Fusion 13 like to do things differently, on 25 January we had our ‘Christmas’ event for staff and special guests. 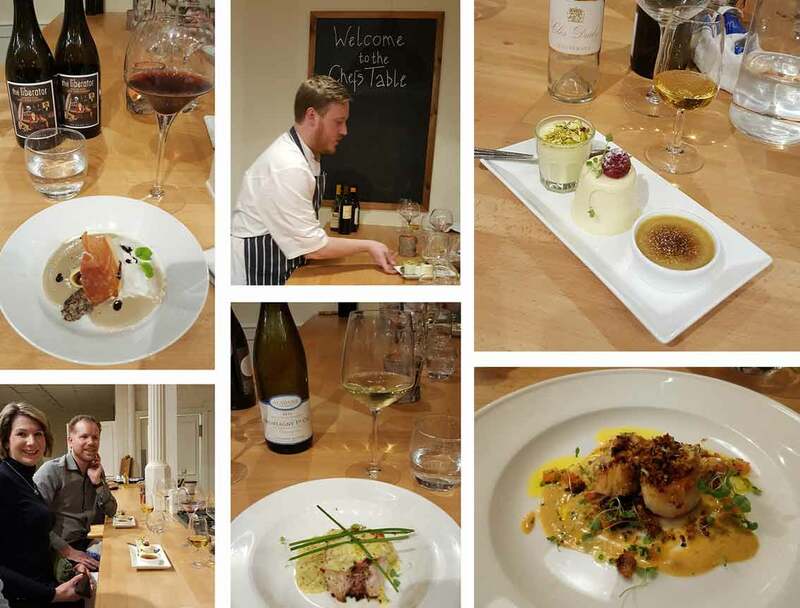 Local chef, hospitality consultant and wine merchant Matt Beevers designed and prepared a mouth-watering seven course meal paired with seven wines and sherry from his wine and spirits emporium, Maison Du Vin in Malton. We were lucky enough to have the Malton Cookery School for the evening, watching Matt cook in front of us before finishing off with a night cap at Maison Du Vin. Matt prepared a largely gluten and dairy free menu (at our request) and concentrated on flavours and locally sourced produce. Such delights as cured halibut loin infused in gin and lemon, freshly caught from Whitby that morning and a tasting of wild mushroom, a tortellini with parma ham, thyme, port and white chocolate. We had not one, but two, dessert courses: a trio of aromatic tasting sweet treats – Earl Grey and orange crème brulee, coconut and lemongrass panna cotta and lime and cardamom mousse; followed by a selection of all things chocolate with Tonka bean, each with an amazing and perfectly matched dessert wine. The gourmet private dining evening is one of the ways Fusion 13 say thank you to staff for their hard work and dedication over the past year. Thanks to Matt and his assistant on the evening Debbie, for a wonderful evening, we look forward to the next time. We are pleased to report that construction is now well under way by Draper and Nichols for a development of nine new build flats for Orwell Housing Association. The properties are North of Norwich centre. They will consist of one and two-bedroom flats. Post construction assessment has just been submitted to the BRE for certification for St Johns Avenue, Newmarket. 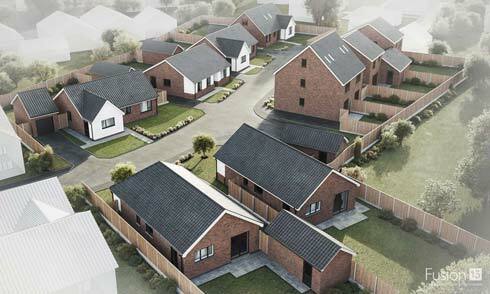 The scheme of 21 dwellings (bungalows and houses) has been designed to comply with level 4 of the code. This required all dwellings to show at least a 19% improvement on building regulations part L. This was achieved with fabric insulation and PV panels. The scheme also benefits from smart energy meters, low consumption internal water fittings, reduction in on-construction waste and additions to improve the ecological value of the site. North Yorkshire Building Control Partnership have granted building regulation approval for the demolition of the existing utility building and internal ground floor alterations along with construction of two single storey rear extensions to this Victorian terraced property in Malton. We look forward to construction starting on site in the new year. We are delighted that planning permission has been granted by Waveney District Council for construction of a single-storey rear and single storey front extension in Lowestoft. 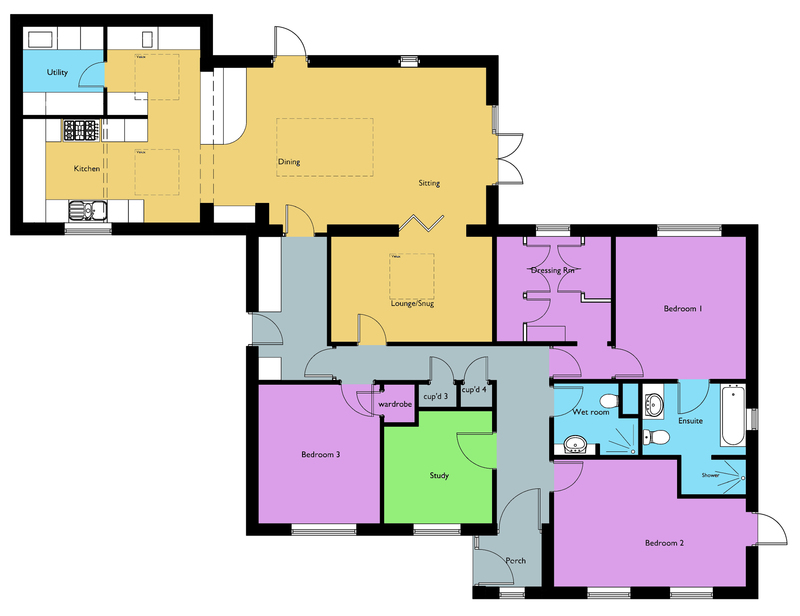 Our designs have increased the existing two-bedroom bungalow to include four double bedrooms, a large open plan kitchen dining area and separate space for a utility room. We look forward to progressing the scheme to the next stage. Do you still need Code for Sustainable Homes (CSH) accreditation? Some fantastic jazz by the Laginha, Argüelles, Norbakken Trio was enjoyed by Rachael Thacker and Lee Marsh at Sir Jack Lyons Concert Hall in York, courtesy of Rollits who are supporting York University’s flagship concert series for the current academic year. It was a very entertaining evening, with good networking as well as wonderful jazz. Thanks to Clair Douglas and John Lane at Rollits for the invite. We are delighted to announce that building regulations approval was gained for a two-storey side extension. The new two-storey side extension will provide and extra bedroom with en-suite, increased living space and a replacement garage. We look forward to construction starting on-site in autumn 2018. Fusion 13 were delighted to host Park Farm Courtyard’s 2017 coffee morning in aid of Macmillan Cancer Support. A big thank you to everyone who supported and attended the event, between us we raised close to £200. Congratulations to Laura Cotter from BStreamlined who won the cake-bake with her delicious cappuccino cake. We look forward to working again with Wellington Construction Ltd and Brooks and Wood Ltd on numerous garage sites in Norwich. We were appointed to undertake the SAP calculations earlier in the year at the design/planning stages by Orwell Housing Association and have now been appointed by the scheme contractors to carry out the as-built SAP calculations and EPSs. 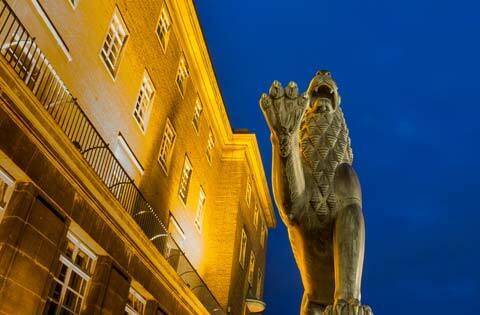 The scheme provides 43 new build dwellings, built on existing garage sites owned the Norwich City Council. We are happy to report that Broadland District Council approved our planning application to extend a two-bedroom semi-detached house. 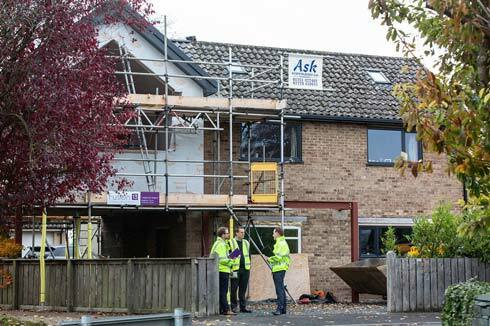 The new extension will provide a much-needed additional bedroom, increased and now open-plan living space and a separate utility room and wet room. Our designs include a glass flat roof to the single storey extension and bi-fold doors to the rear.